Healthy, hearty and vegetarian! 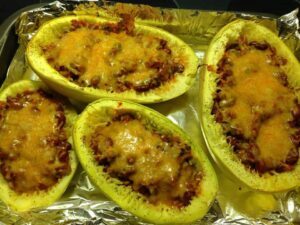 Easy Mexican Spaghetti Squash is so good everyone will love it - even meat eaters! Spicy and easy to make.